Amazon just provided another reason to consider it a one-stop shop for everything you can possibly need in life. 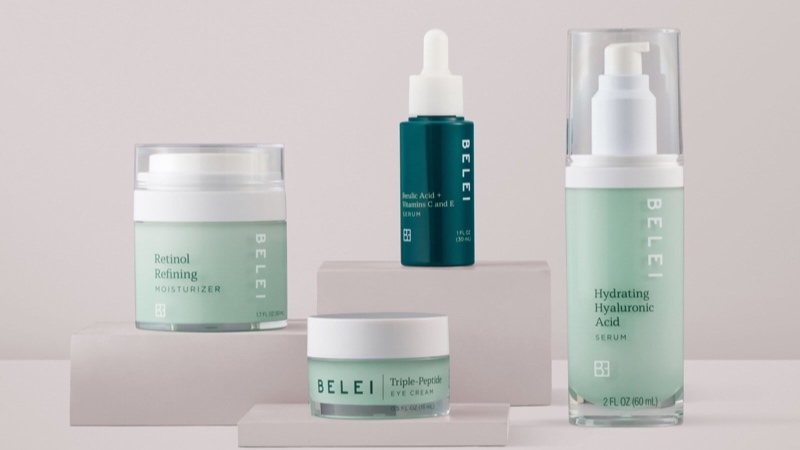 The online retail giant just launched an exclusive skincare collection called Belei, which includes 13 different skin care products, and they're giving consumers some very good reasons for checking it out. Belei takes a simple approach to skin care by creating products with proven effectiveness, yet without all the unnecessary additives. The brand's goal is to help consumers find what they need for their specific skin concerns without spending an overwhelming amount of time and money before finding it. Anyone who's shopped at any of the major beauty suppliers knows how frustrating that can be. If you're shopping for something on Amazon and happen to remember that you're out of a skin care product you're not particularly loyal to, there are huge advantages to checking out the Belei line. You get access to brutally honest reviews, the prices are affordable and the descriptions are clear and simple - taking the guesswork out of skin care. Simply choose whether to shop by the type of product you need or by a specific skin concern or solution. You'll get it as fast as you want it with Amazon Prime, and there's no risk considering Amazon promises a refund on its Belei products for any reason within a year of purchase. At Coupon Cause our mission is to provide more than just the largest selection of daily, verified and updated online coupon codes from top retailers for our users. We give you the opportunity to also give back and pay the savings forward! A portion of every sale on the site goes towards featured charities such as "The Los Angeles Regional Food Bank", Surfrider Foundation and more!